A super quick post just to let you know about a couple of Dorky Family things going on in other places. My third column is up at The Island Review. It’s all about food in Tasmania and you can read it here. Far more exciting is that DorkyDad’s first big poetry gig in Tasmania is happening this Thursday night. 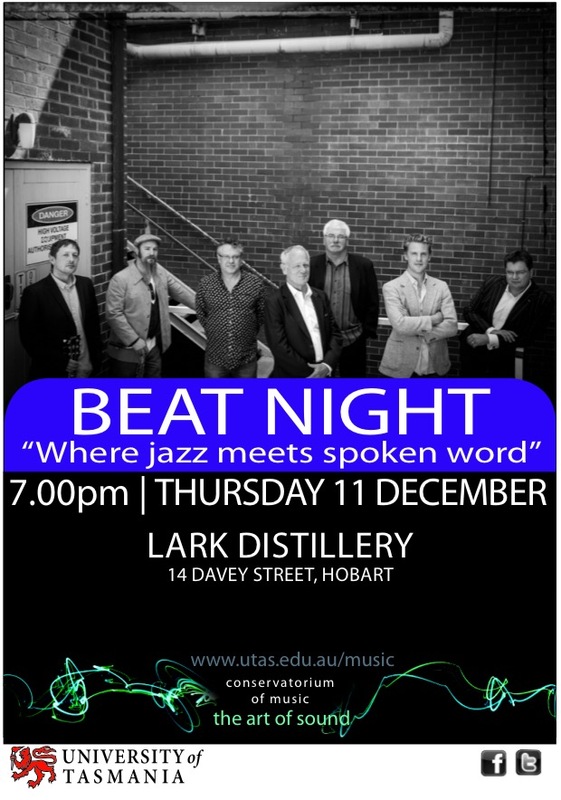 It’s called Beat Night – Where Jazz Meets Spoken Word and it’s at the Lark Cellar Door at 7pm. The band is a brilliant group of musicians – Andrew Legg (piano and hammond organ), Nick Haywood (bass), Alf Jackson (drums), Al Dobson (horn), Damien Kingston (guitar), and Frank Bansel. I always get super nervous watching him at events, but this one should be a lot of fun, and I’m hoping that a dram or two might keep me calm… Please come along if you can!